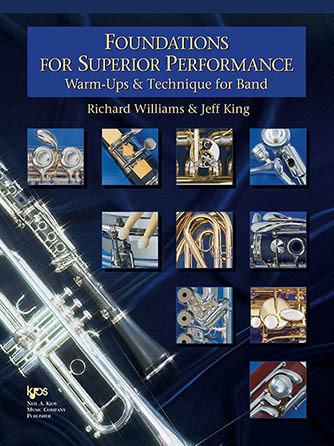 Take your band to the next level with this warm-ups and technique book for band. The book is designed to help organize the daily rehearsal and to improve the overall performance level of an ensemble. From as little as five minutes a day to forty-five minutes a day, this book offers the flexibility and options to fit any particular band situation. It also provides the director with the resources to meet each student on his or her own level while challenging them to reach the next level. By using Foundations for Superior Performance, you will see improvement in tone production; articulation; flexibility; agility; endurance; range; listening skills; technique and understanding basic music theory.